The Joining Sub-Platform is classed as forum, where likeminded organisation come together to influence the direction of future research in Joining and associated Welding methods. It also acts to create networking and collaboration opportunities. The management committee coordinate the activities of the platform and engage with the EC, Manufuture and other EC initiatives on the subject of Joining and related welding methods. 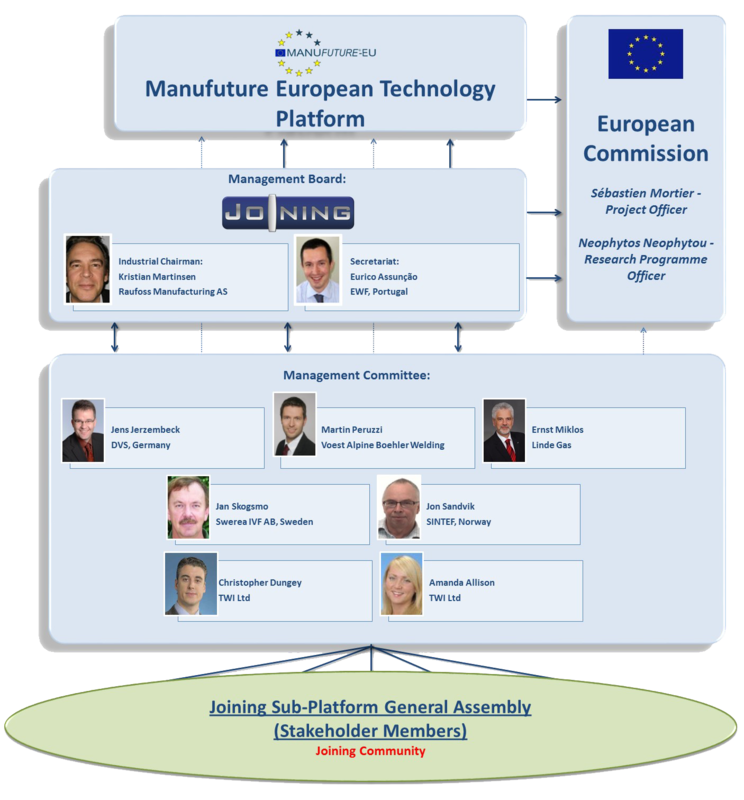 The EC is in support of the Joining Sub-Platform which was initiated by the Manufuture Technology Platform.